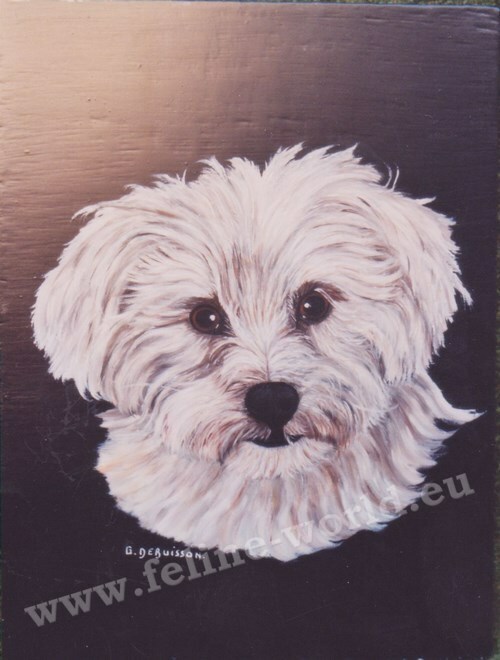 Merci infiniment, Gilberte, de votre confiance à m'avoir confié vos oeuvres afin de me permettre de placer les reproductions sur mon site web. 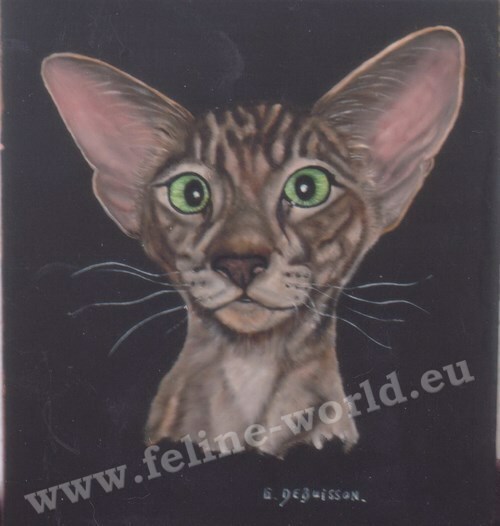 Peintre animalier autodidacte, née à Etterbeek (B) le 06 janvier 1941 et habitant Dison (B). 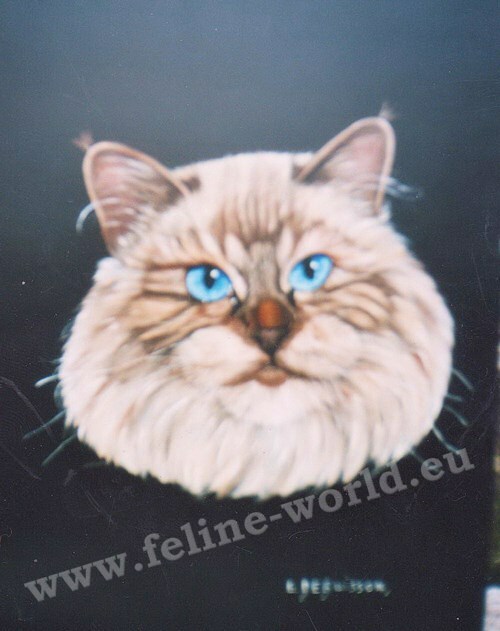 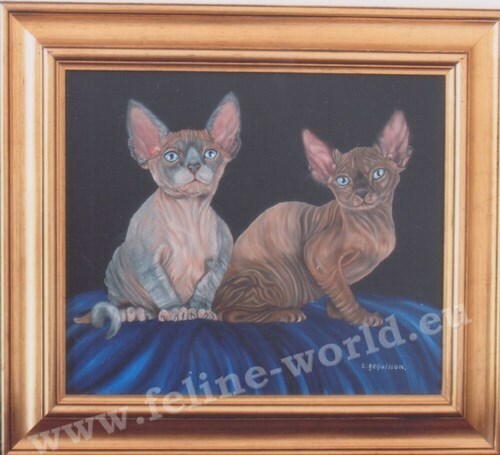 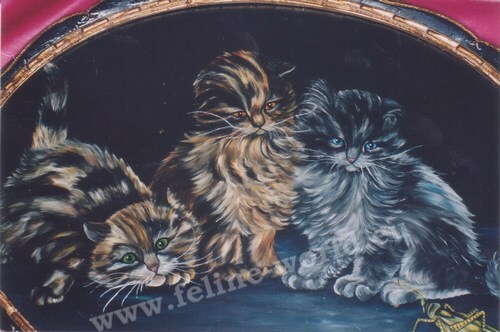 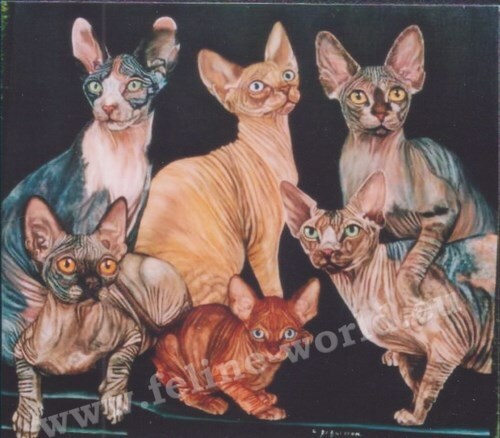 Portraits d'animaux - Sa spécialité : chats en habits d'époque. 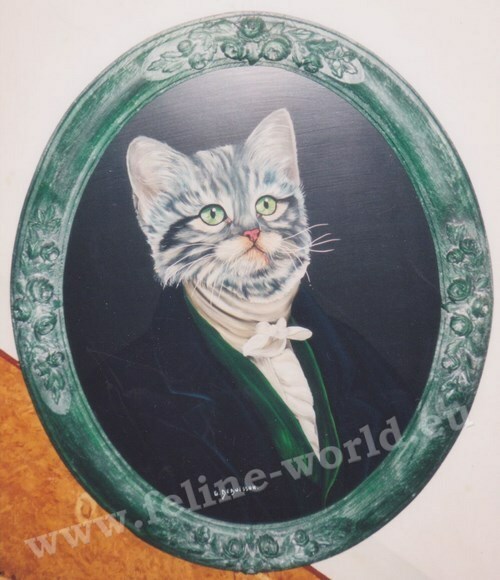 Gilberte a le sens du détail. 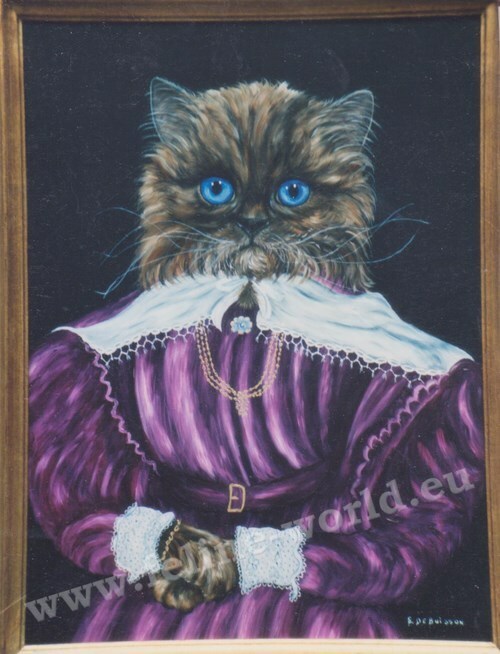 Elle privilégie les costumes anciens, fin XIXe en particulier. 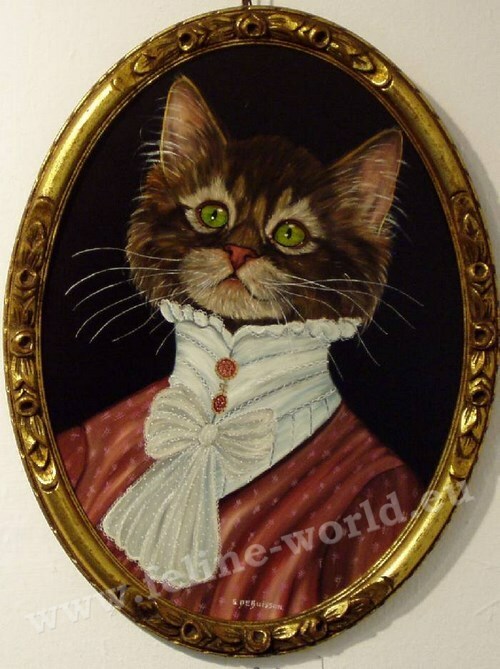 Elle préfère les vêtements plus riches, les dentelles, les bijoux, les broderies anglaises. 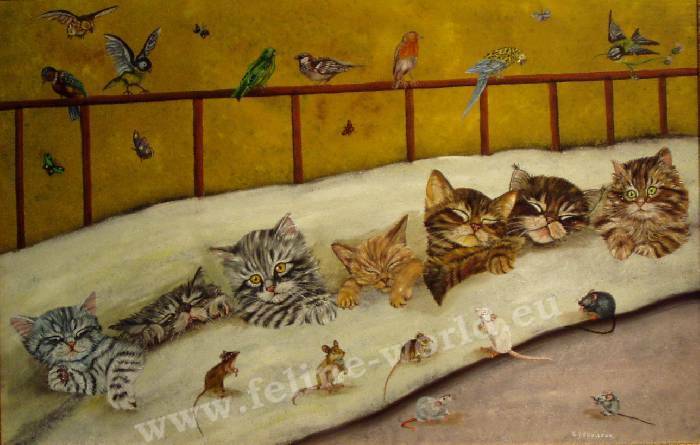 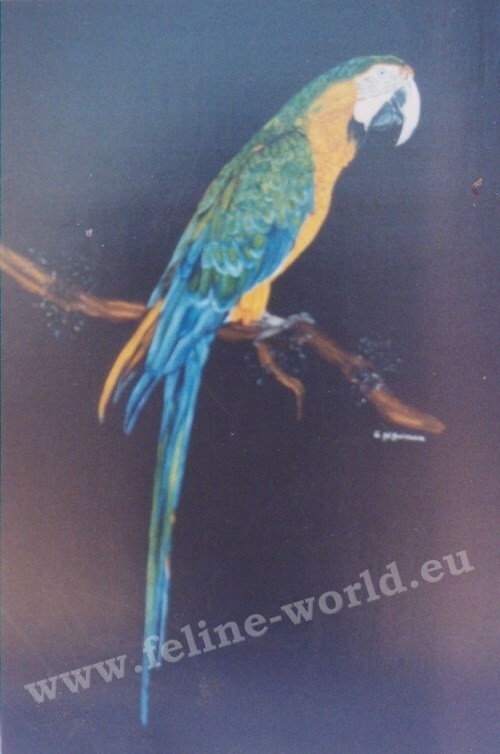 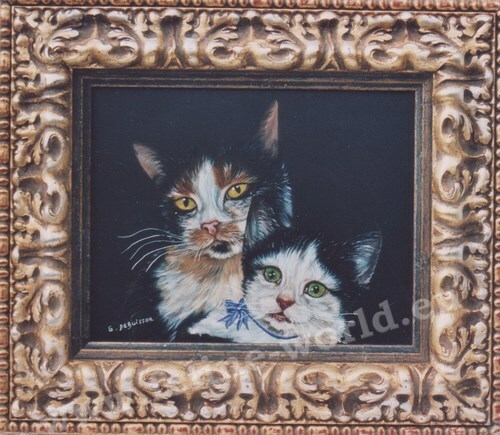 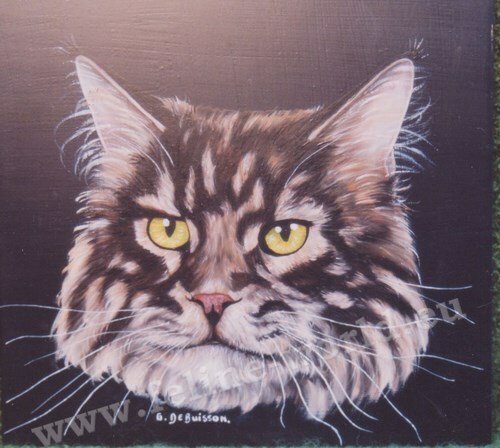 Self-taught wildlife artist, born in Etterbeek (B) January 6, 1941 and lives Dison (B). 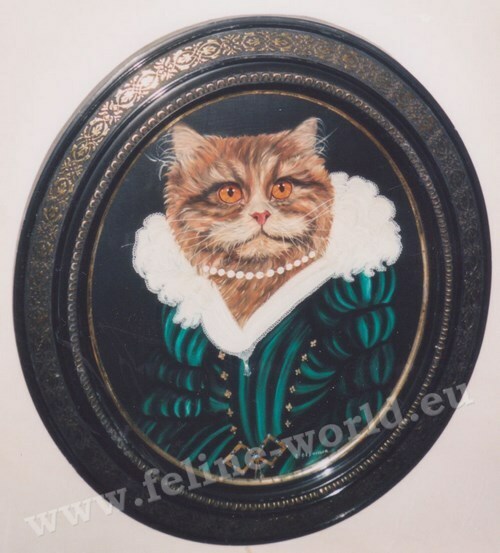 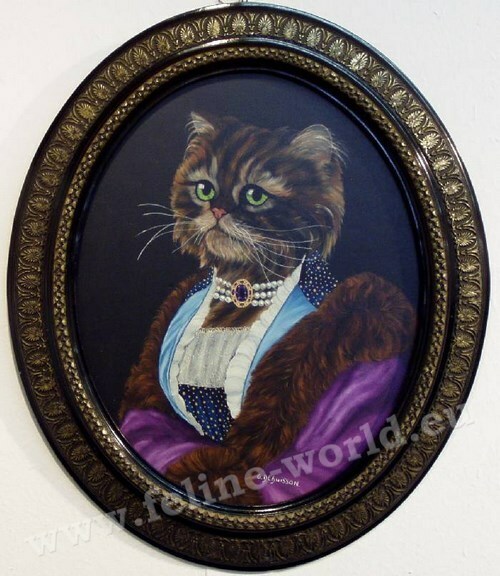 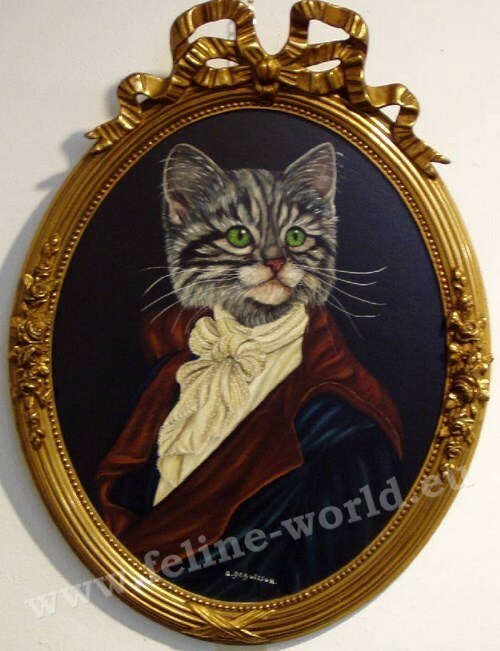 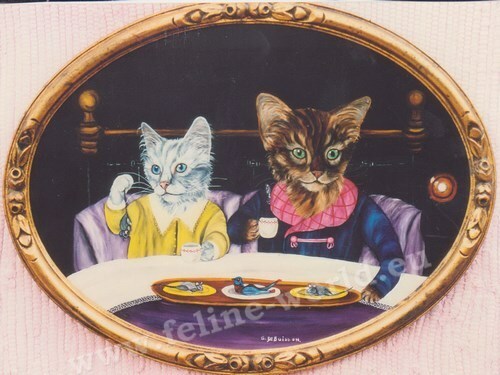 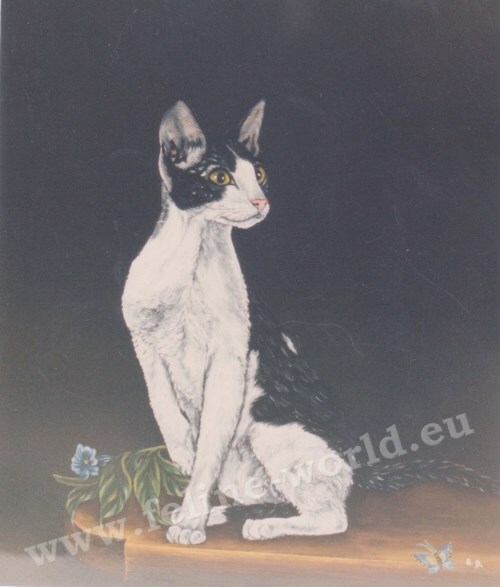 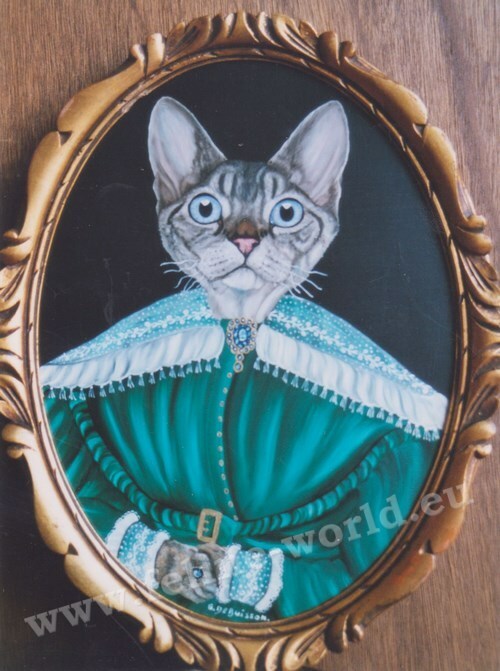 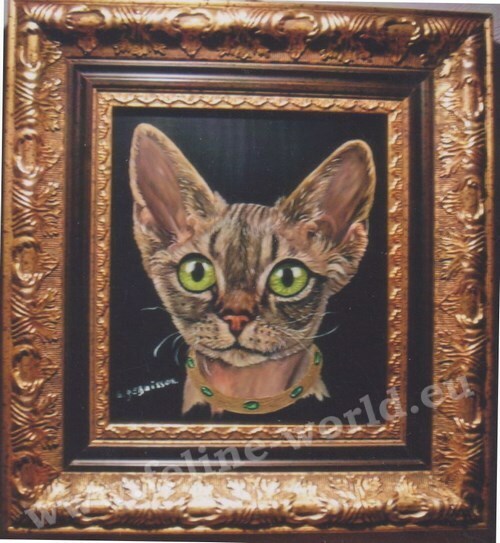 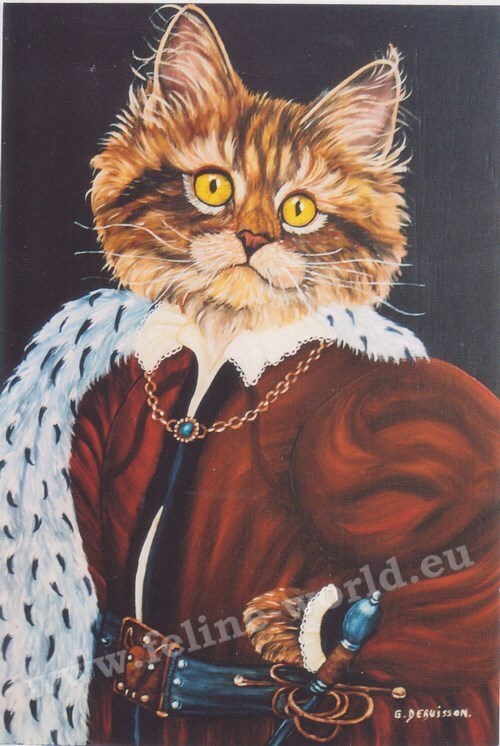 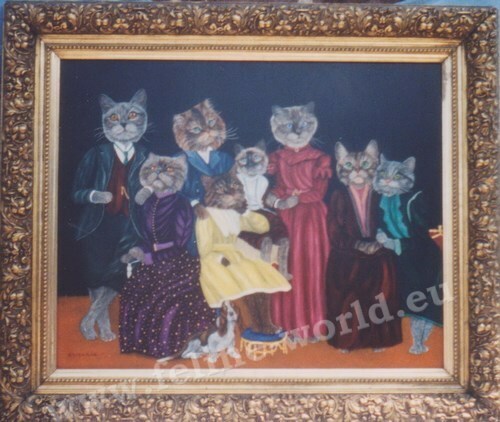 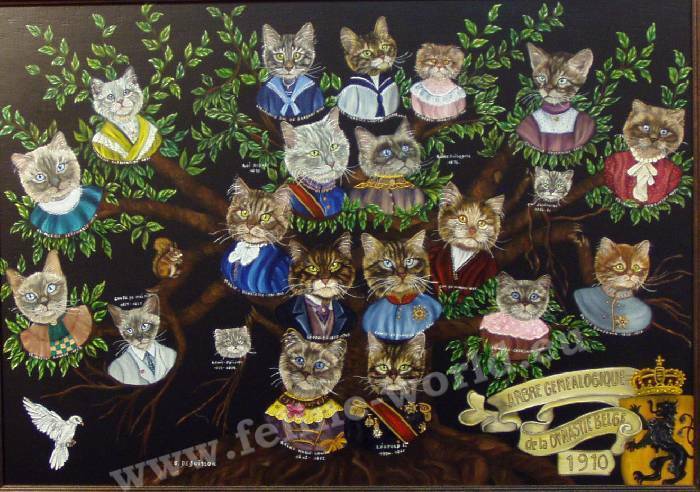 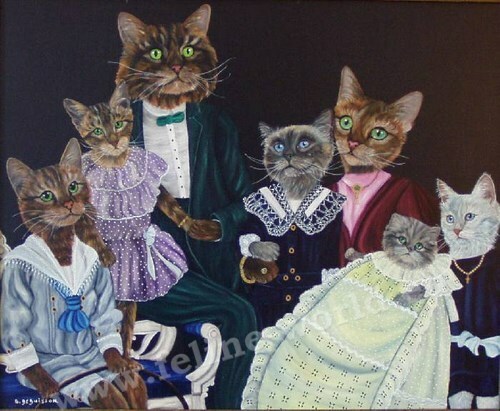 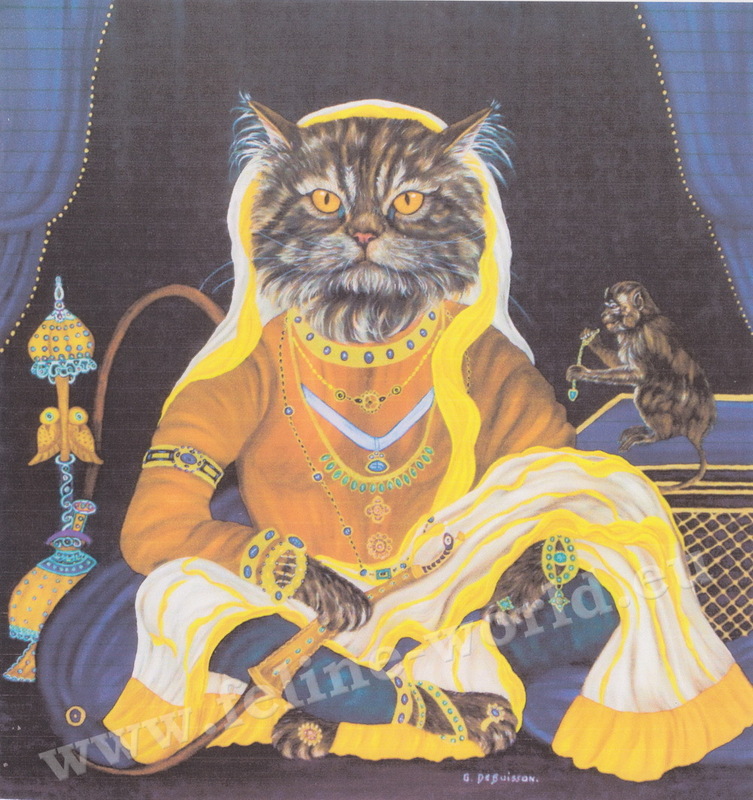 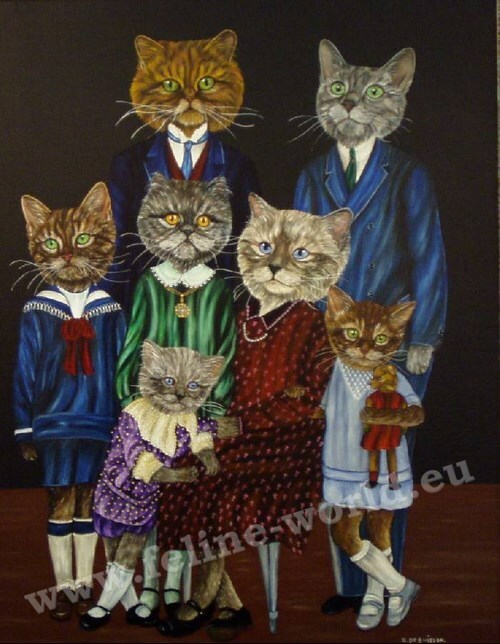 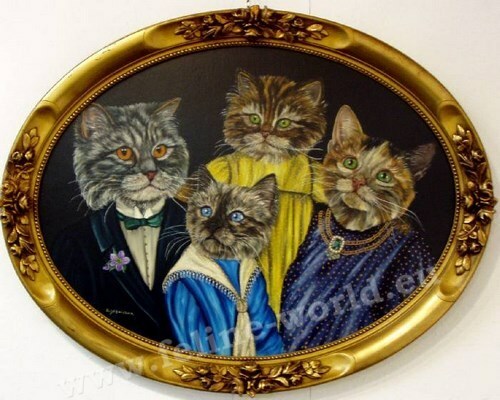 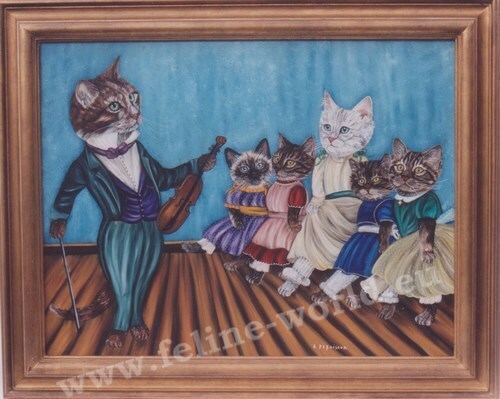 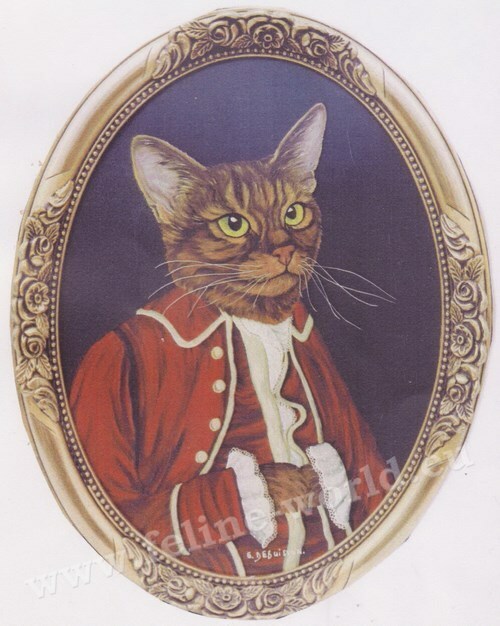 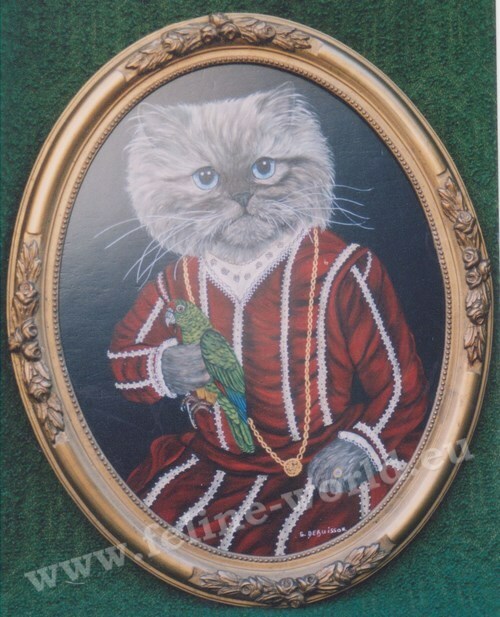 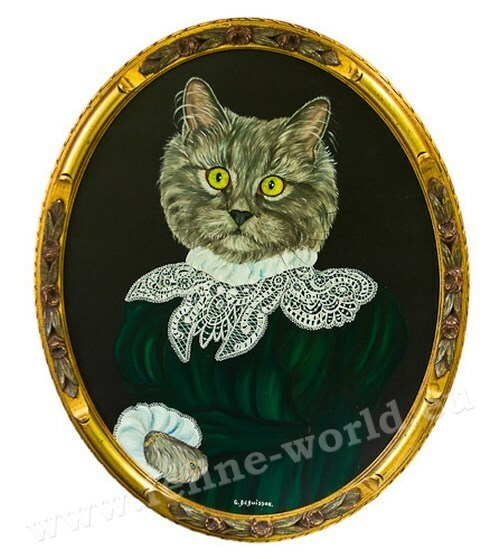 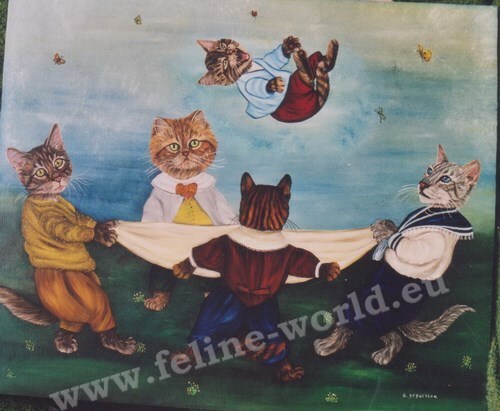 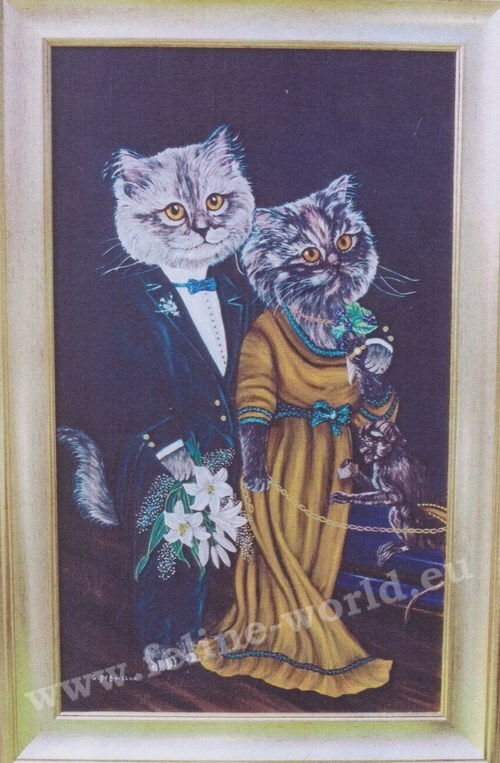 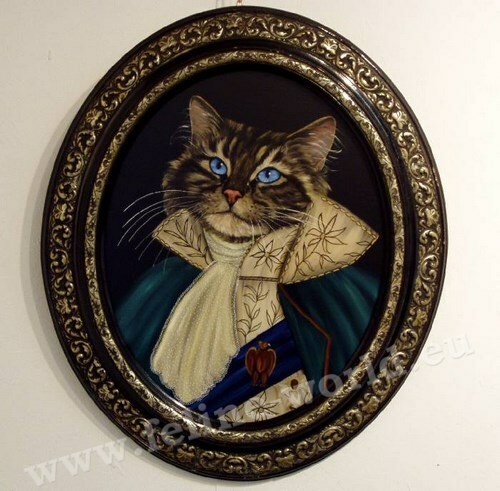 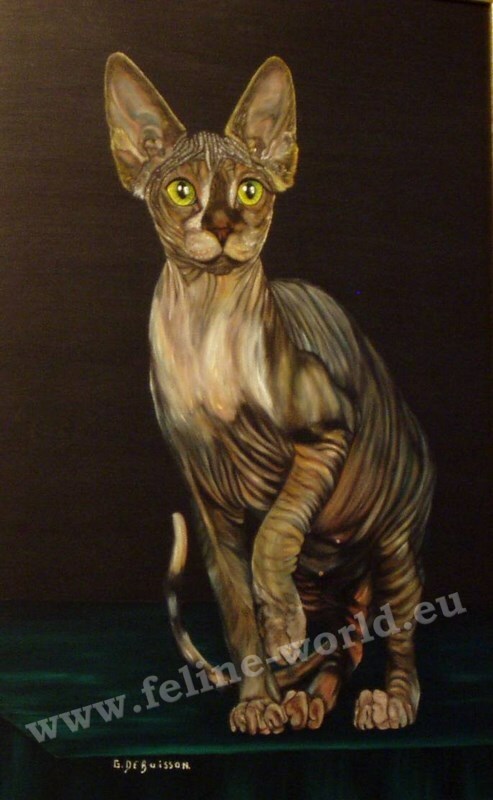 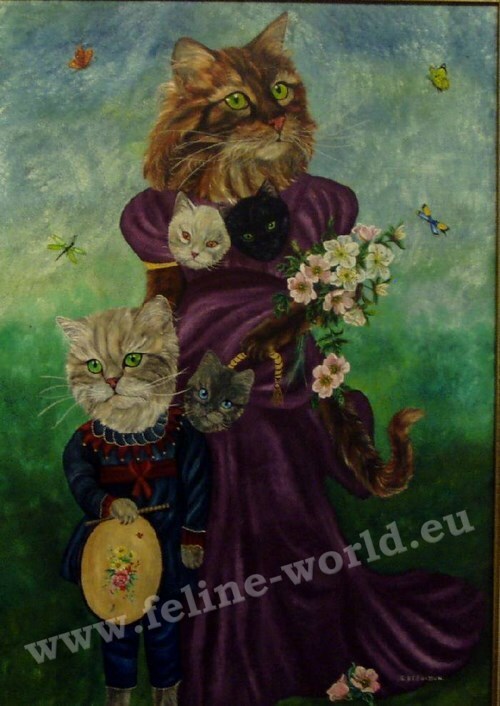 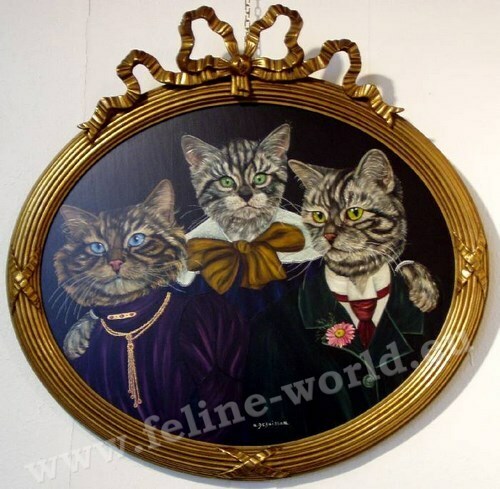 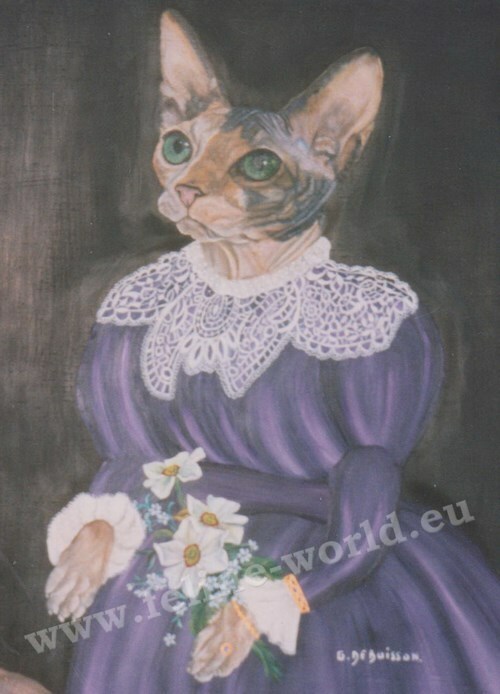 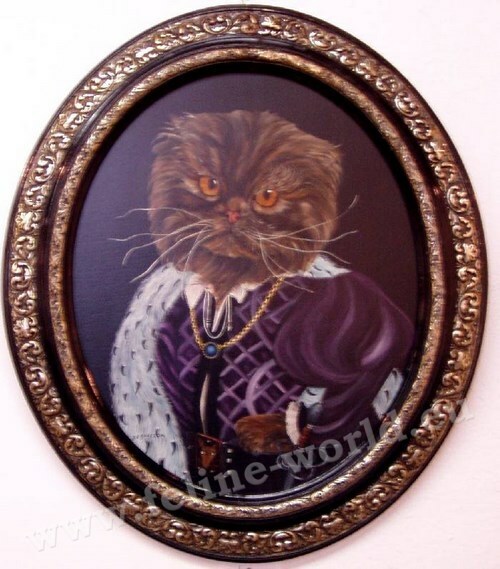 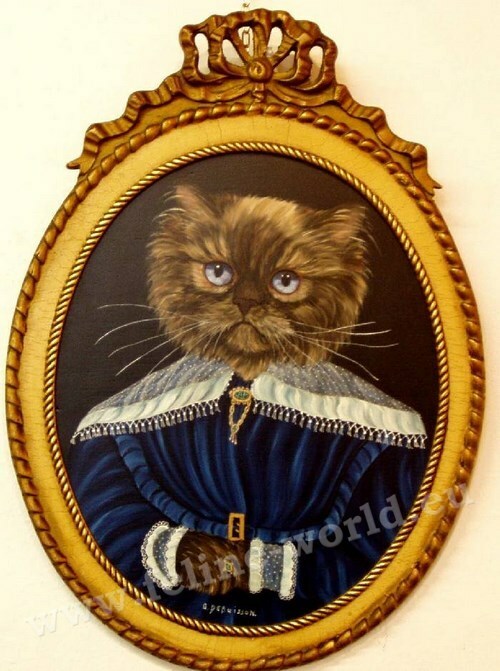 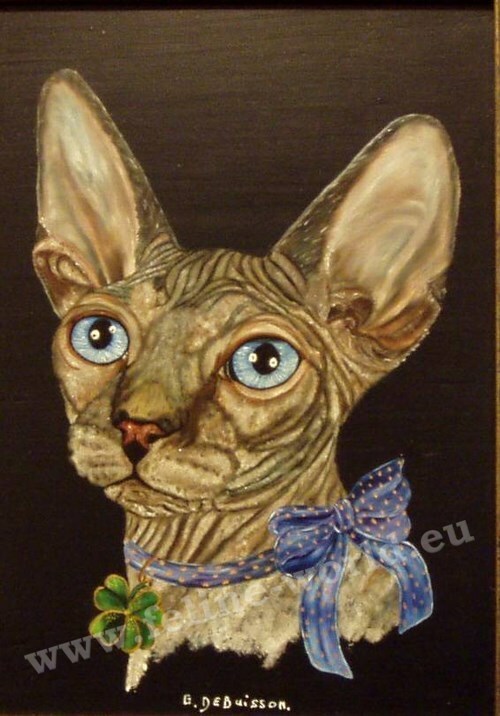 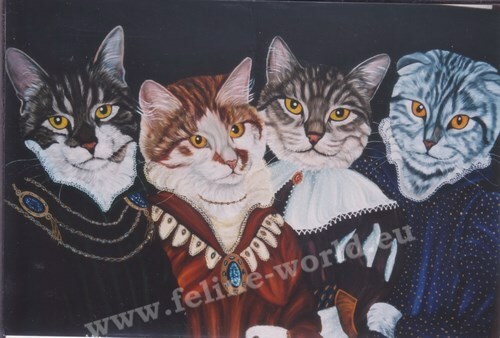 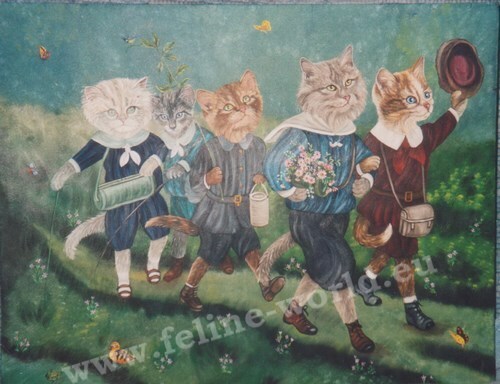 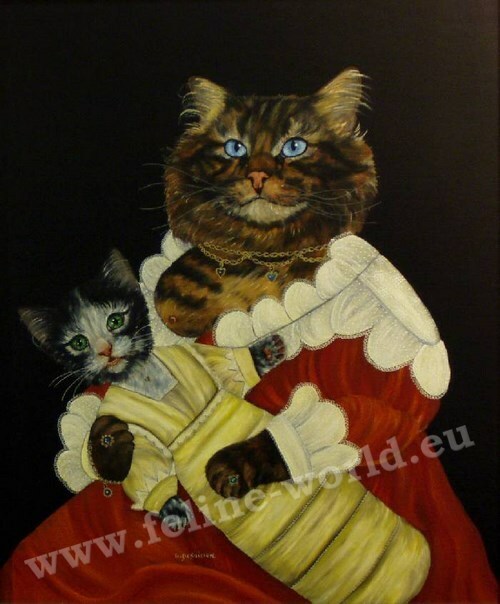 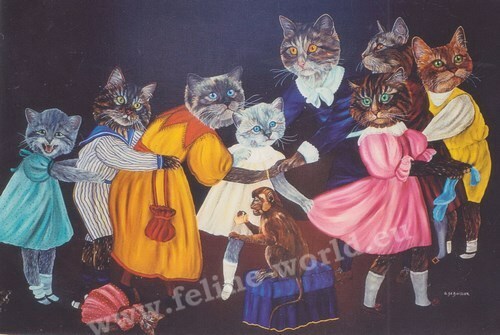 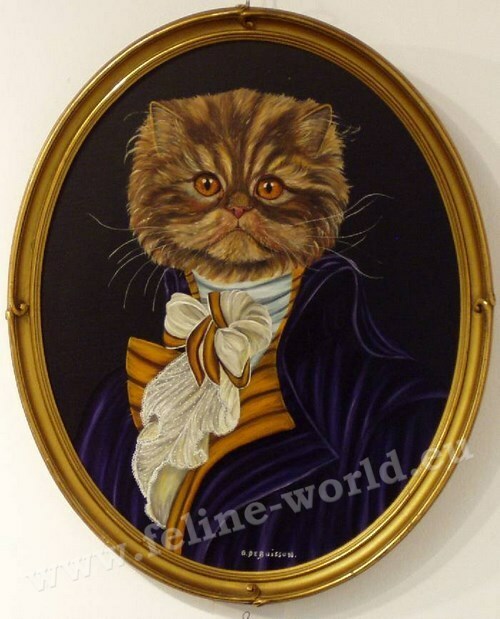 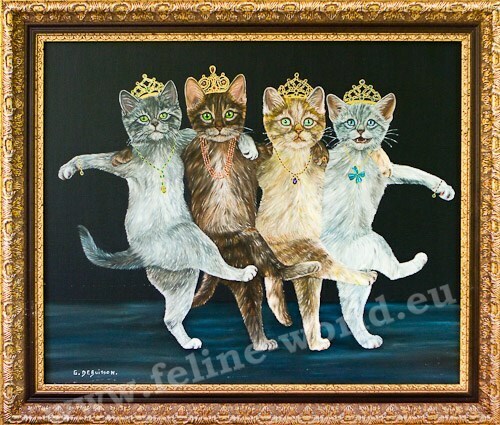 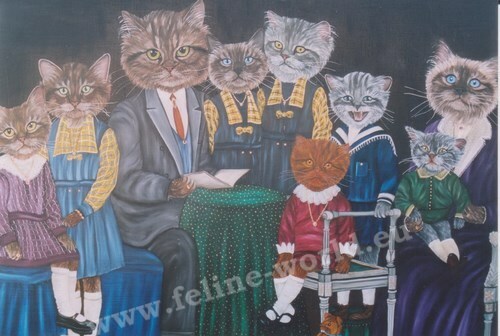 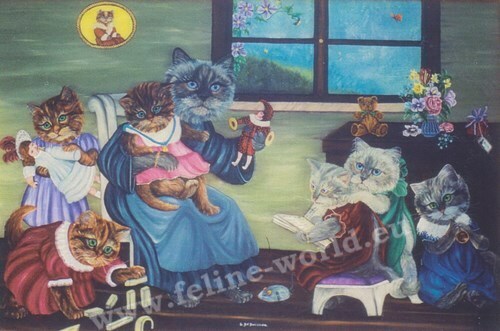 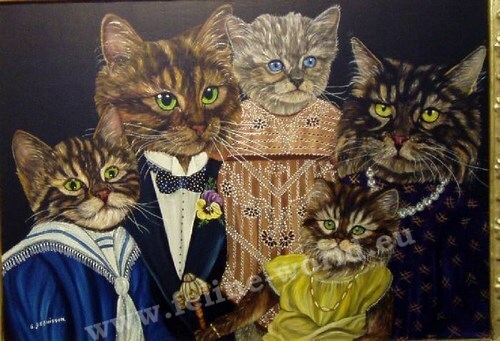 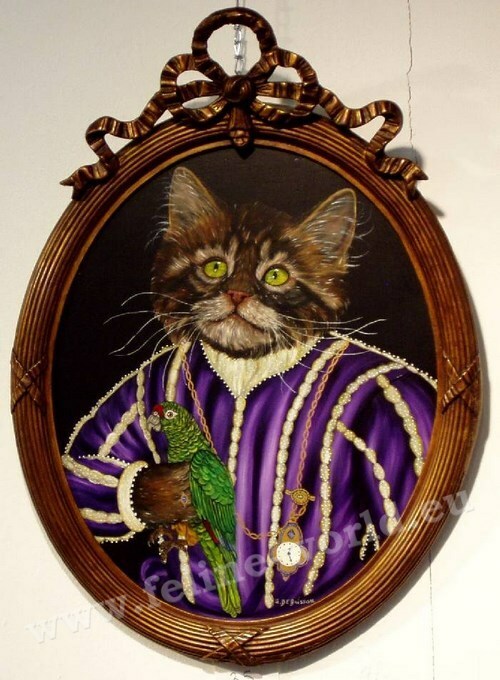 Portraits of animals - Her specialty : cats in period clothes. 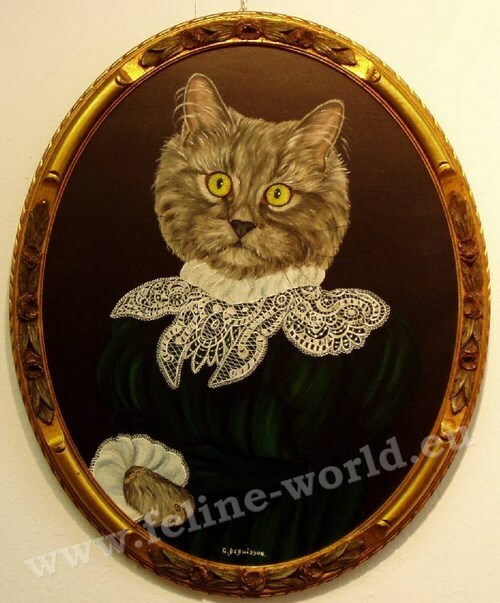 Gilberte has an eye for detail. 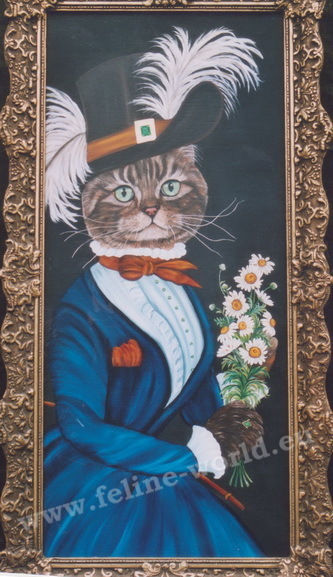 She favors the old costumes, especially late nineteenth. 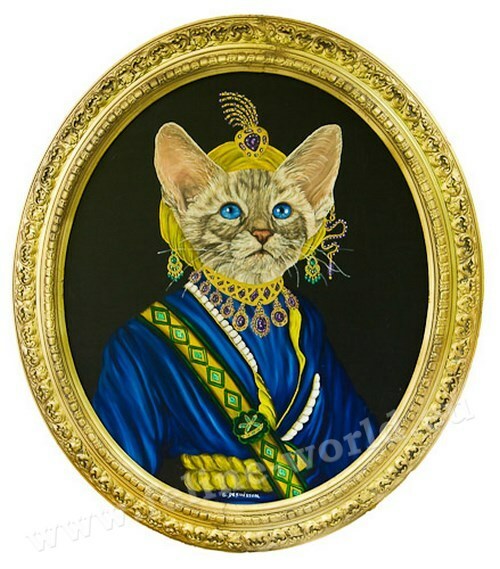 She prefers rich clothings, lace, jewels, english embroideries. 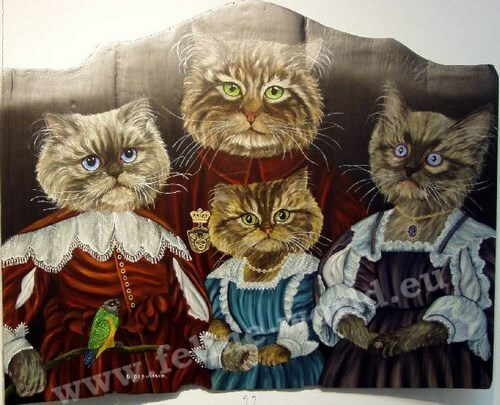 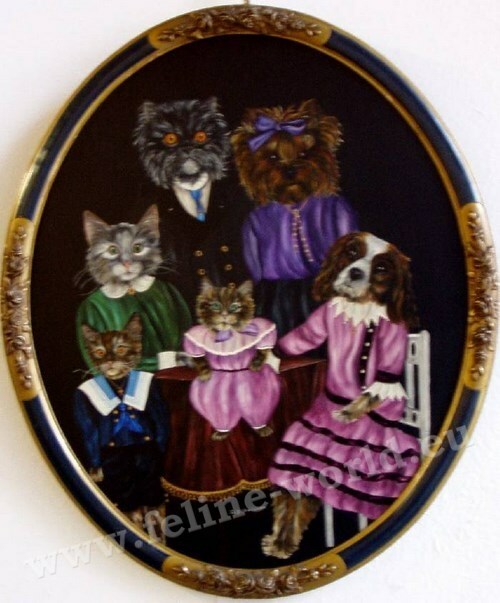 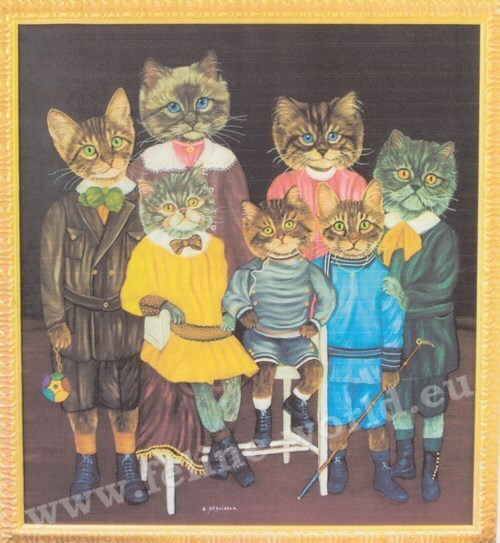 Gilberte Debuisson painted rather special family portraits. 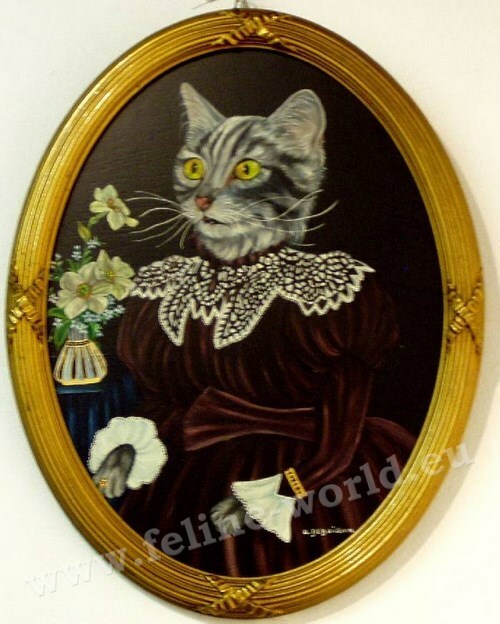 Modeled old photographs, she replaces people by cats. 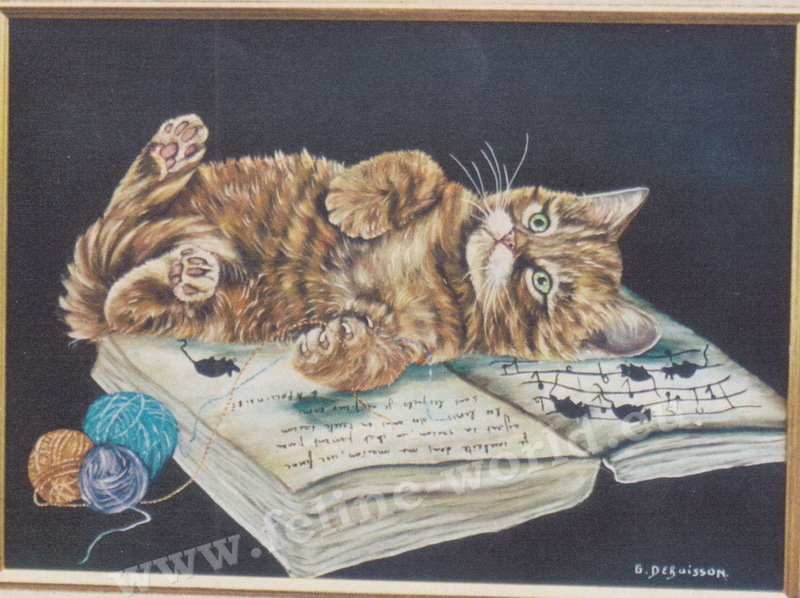 A rather original process which has a story : "I have always loved to paint and draw, she explains . 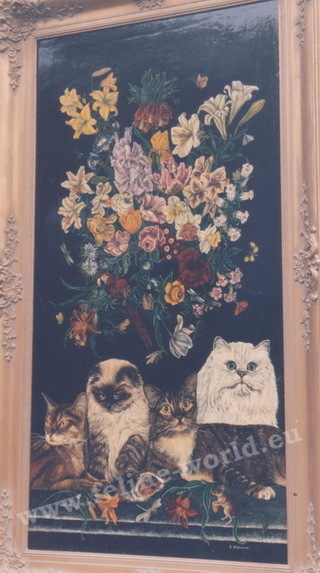 And what caused the trigger in me, these are the panels of flowers on a black background that my father, an antiques dealer, had in his shop. " 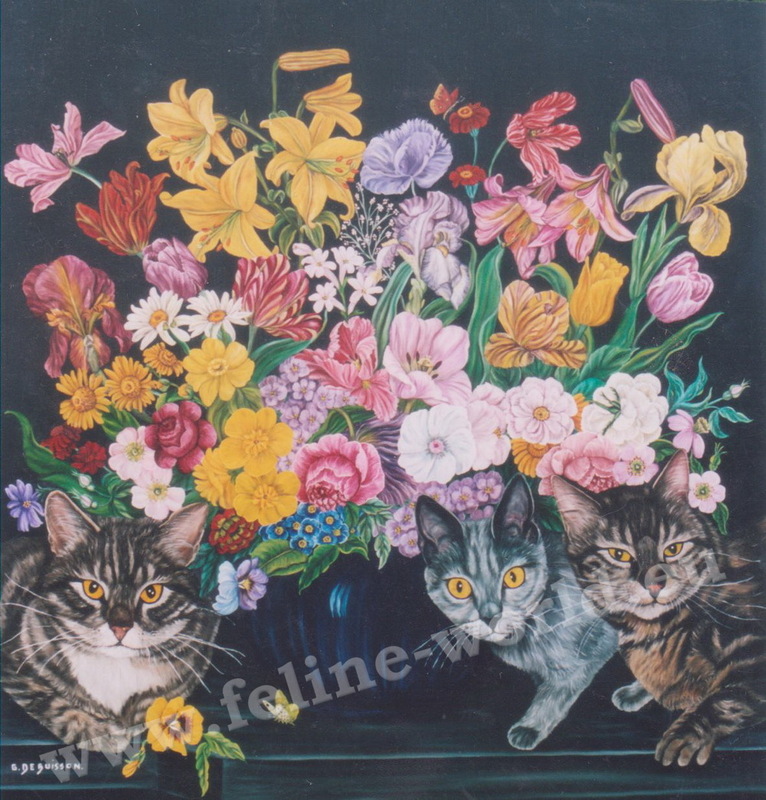 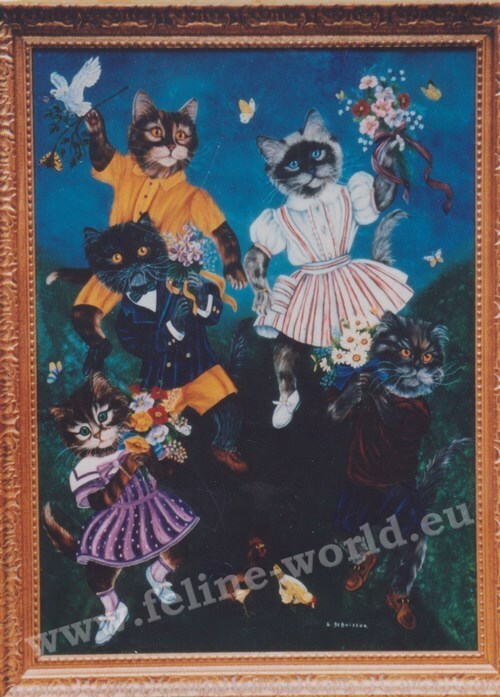 Gilberte Debuisson was then started painting flowers and bouquets where sometimes she introduced one or other small animal, including cats. 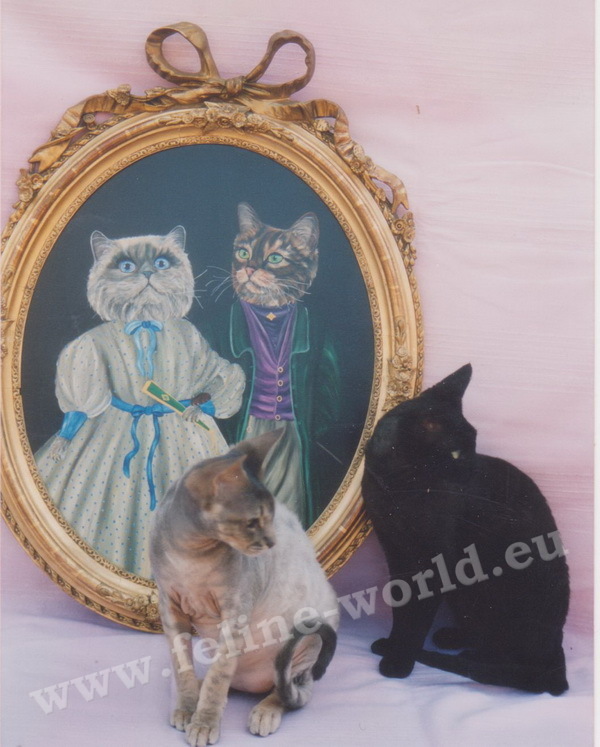 "After my husband died, I kept the elderly and we happened to flick through photos vigils albums. 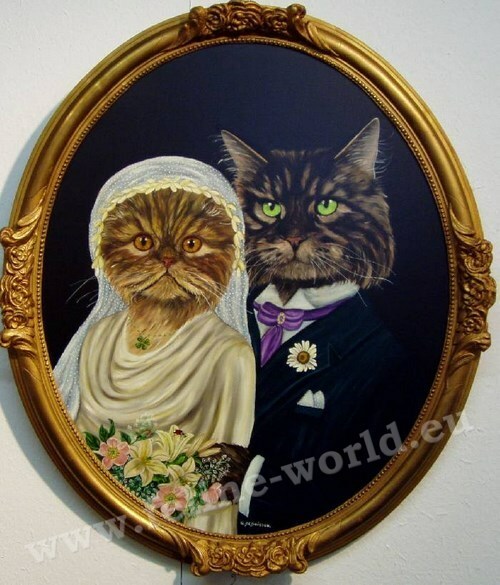 I found it all very sad. 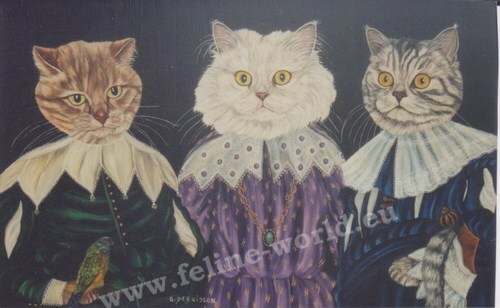 And I had the idea of replacing humans by cats ! 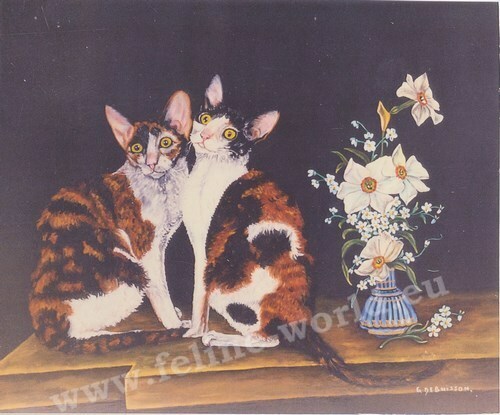 Their eyes really fascinate me. 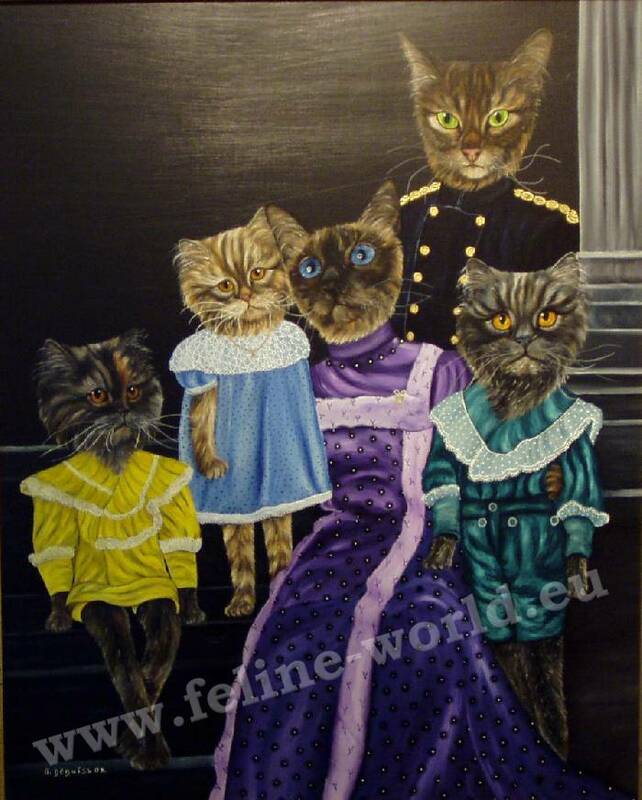 They express so much. 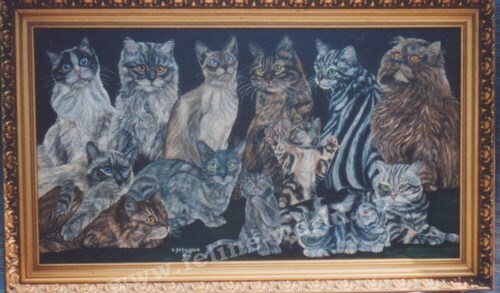 I also think being noticed very quickly in my paintings. " 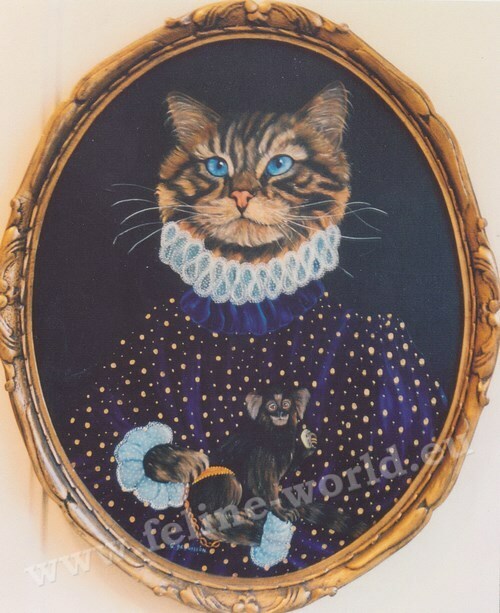 Ces photos ne peuvent en aucun cas être copiées et ni utilisées sans l'accord expresse et écrit de la peintre. 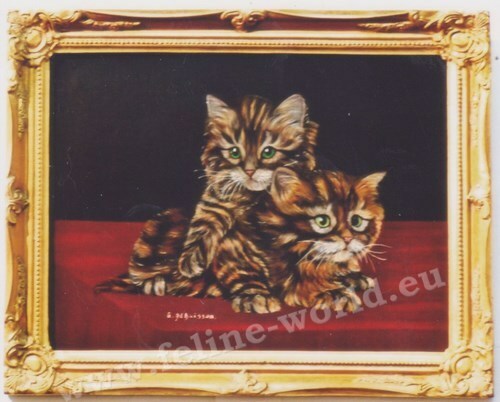 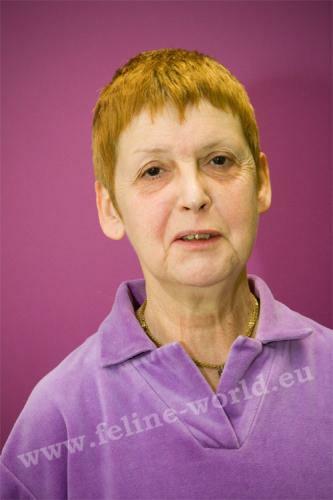 These photos can not in any case be copied nor used without the express written consent of the painter.